Zinedine Zidane's movement has not been met with indifference at Real Madrid. And especially not by Florentino Perez, with El Confidencial highlighting his concern over the French coach's return to the spotlight. Zidane's recent comments ("I'm sure I will be coaching again soon,") as a come and get me plea to interested parties. Or said in other words, "Zidane making Florentino and the fans think about his return [to football]," according to the reports. In this sense, everything points to Manchester United. Jose Mourinho's situation with the English club is a curious one, given the results at the start of the campaign and the coach's relationship with the club's hierarchy. 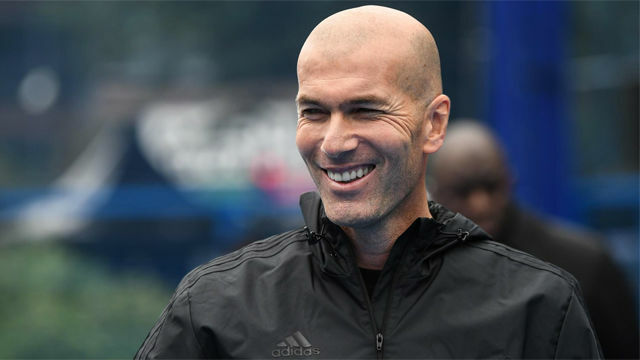 There has already been contact between the two parties -- and Zidane is supposedly interested in the job at Old Trafford. Perez, who was caught cold by the former France international's decision to leave Madrid in the summer, is not impressed given he's supposed to be on a year sabbatical. Above all, because one of Zidane's main reasons for leaving the Bernabeu was because of the wear and tear of football management.